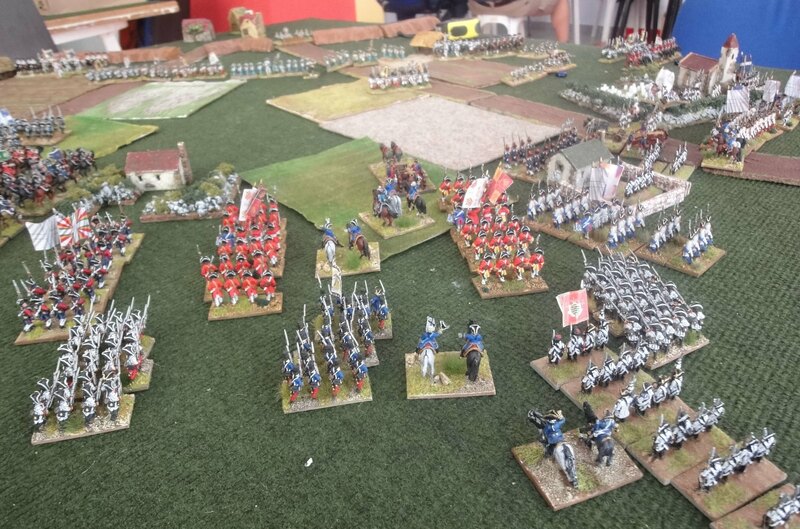 Last Saturday friend Greg, the old Austrian fox, and I, played Bitonto 1734, War of Polish Succession, Spanish vs Austrians. As Damnitz said, a rare example, where he could include every battalion of the real battle. This was a little headache for me. 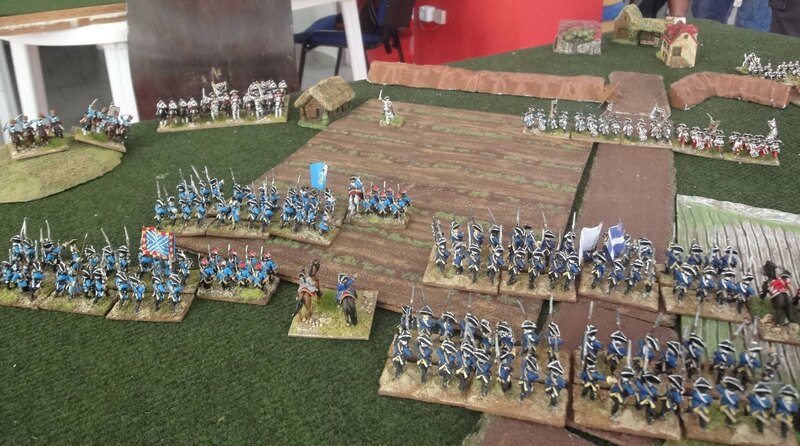 Playing with the Spanish, I had to impress all my French foot and additionally all my Bavarian and Saxon, I even borrowed some of Greg's Austrians to represent 18! 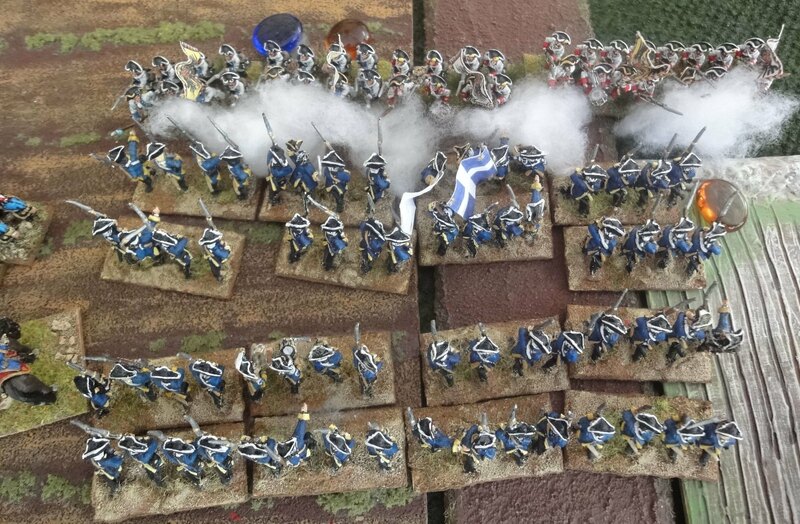 infantry battalions, 8 of them large! 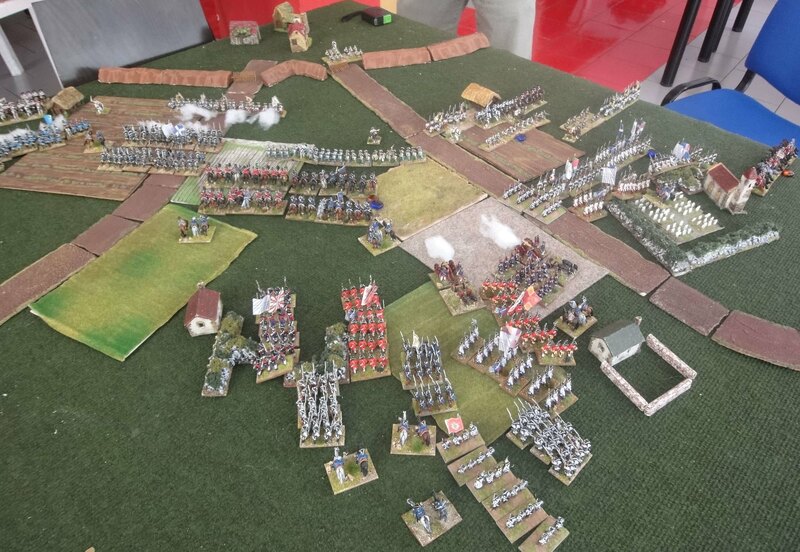 We played in a 6' by 4' foot table with 15mm figures and from the Spanish side the table looked too crowded! 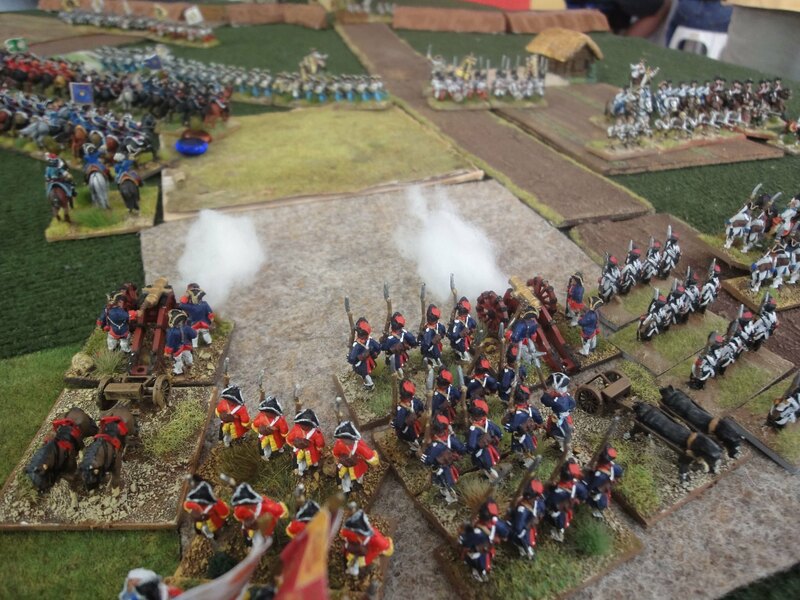 A steamrolling Spanish avalanche menacing to fall on Greg's head, but as you will notice throughout the course of the game, Greg preferred Fabian tactics. The table from the Austrian side. The walls of Bitonto at the lower right corner. The small Austrian Grenadier Battalion in the cascine. Will they sacrifice themselves for the Austrian glory? 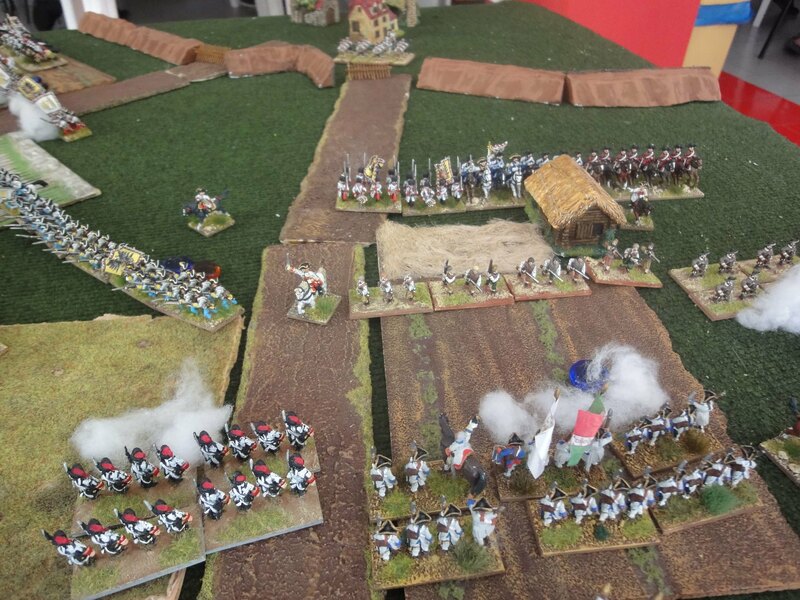 First round: The Spanish cavalry are badly placed. 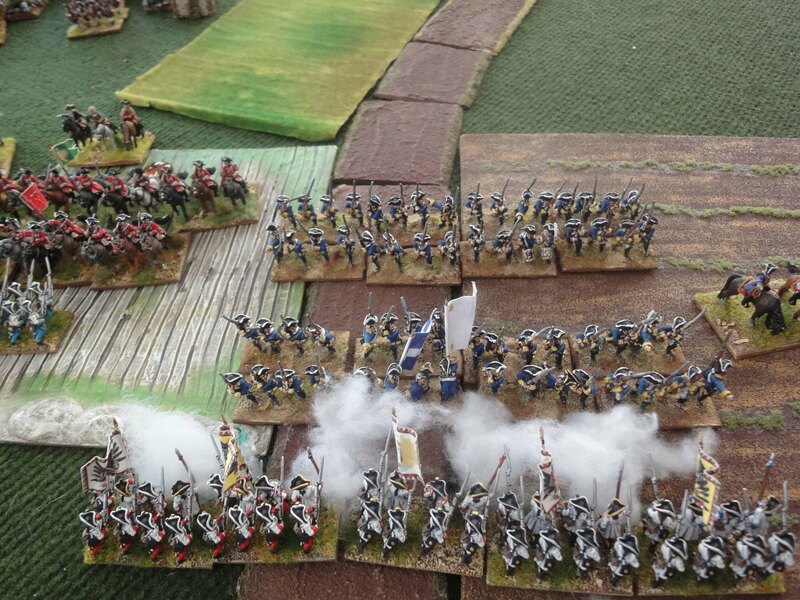 They form columns to gallop behind the Walloon Guards and deploy at the extreme Spanish left. 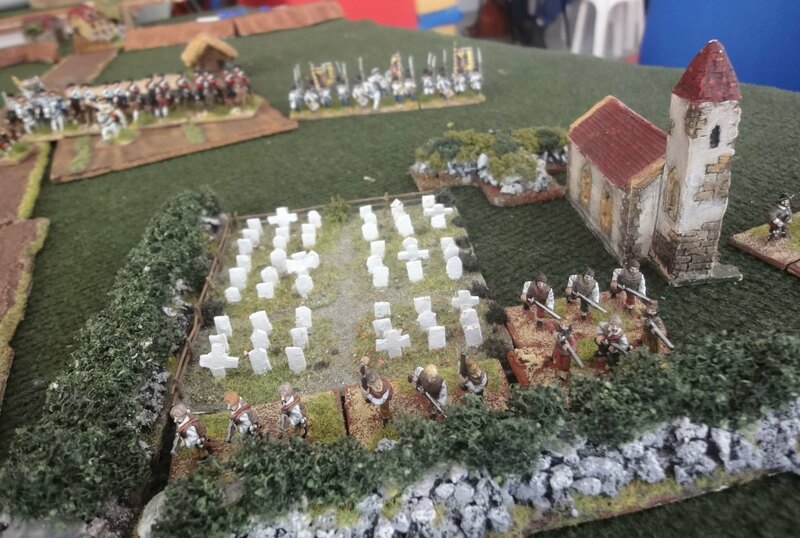 The San Antonio Monastery defenders ready to repulse the oncoming Spanish! 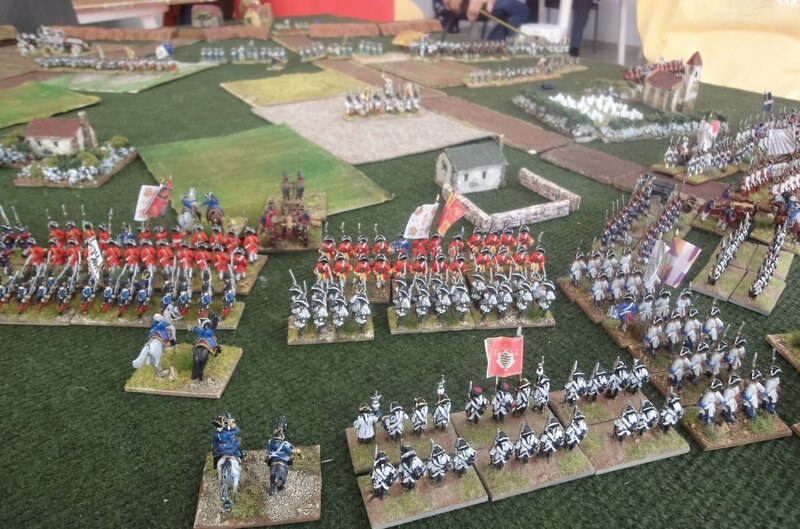 But, what are the Austrian grenadiers doing? They are leaving the cascine! 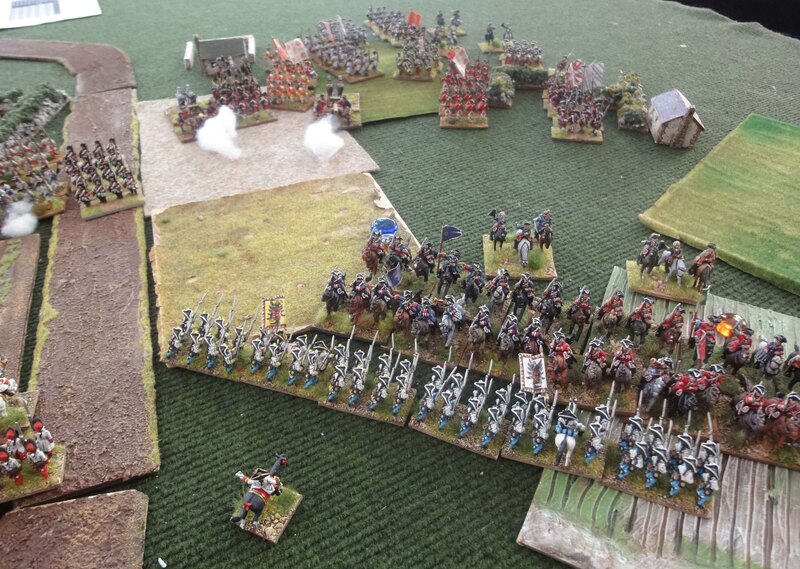 As the Walloon Guards advance, the Spanish cavalry dither and stay in place. 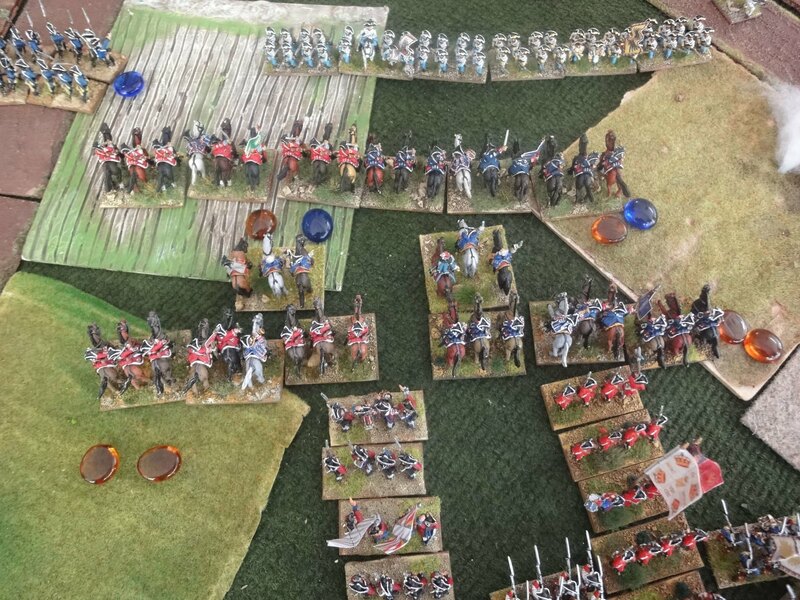 The plan to outflank the Austrian right, fails! 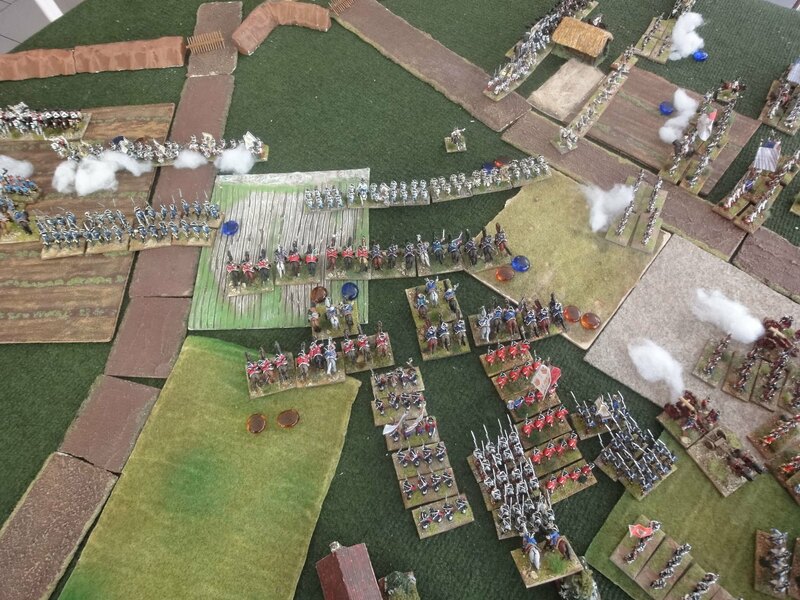 Moreover, the Austrians have pulled their whole army back! San Antonio Monastery is evacuated! 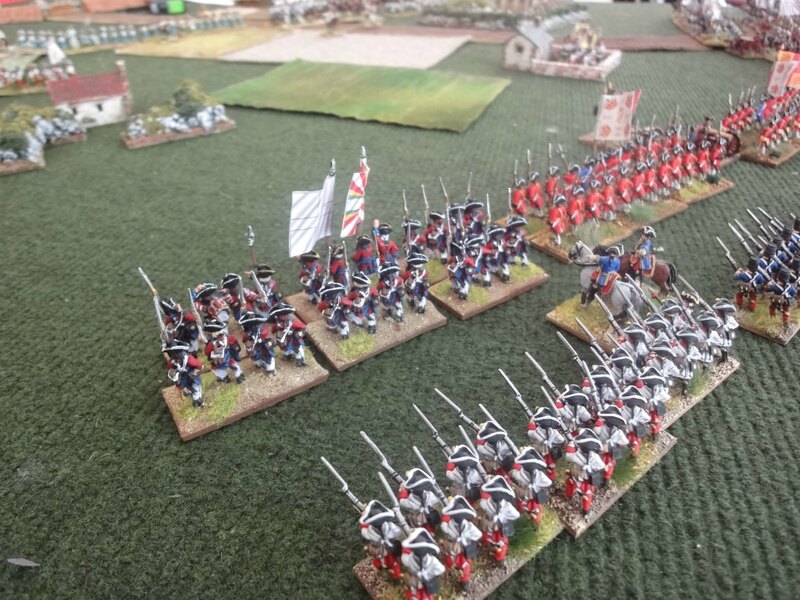 The central Spanish battalions form columns to follow the Austrian ebb. 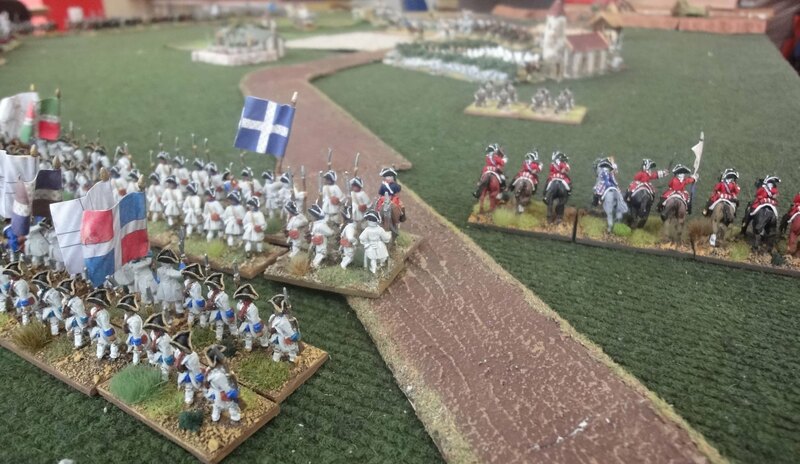 A few meters from Bitonto walls, the Austrian right wing stops. Will they give fight? 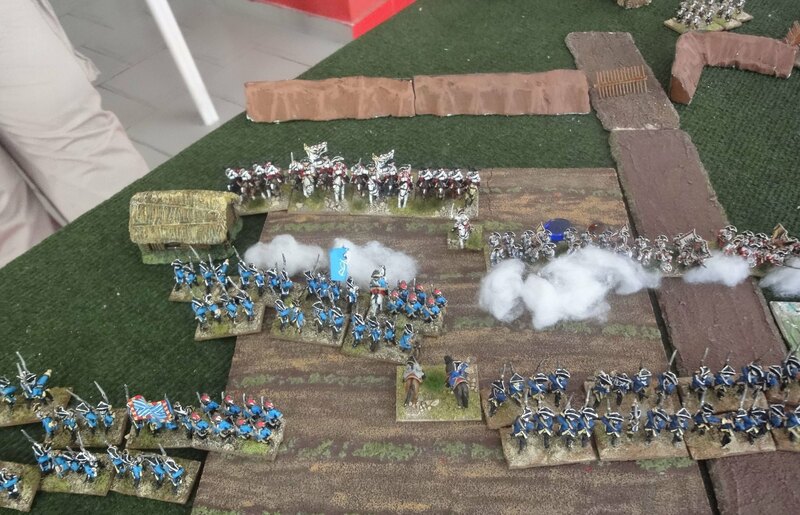 The Spanish cavalry, enraged, make a headlong advance versus steady Austrian infantry. Time is short. 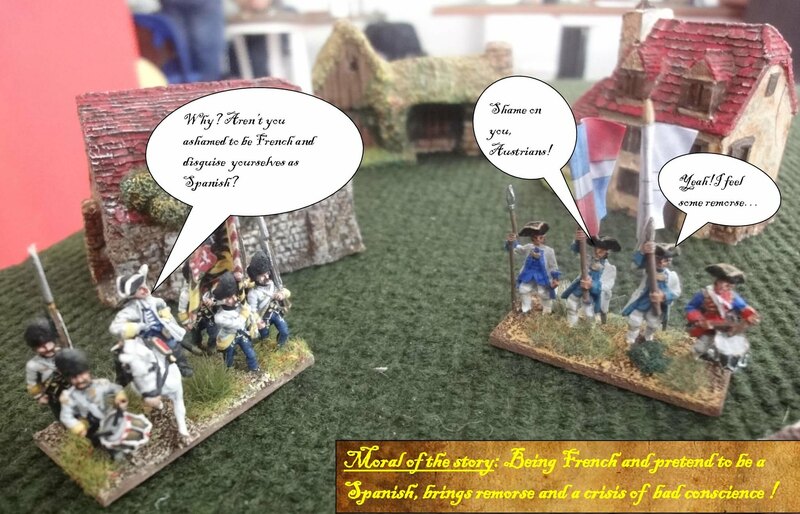 All the Spanish must press on with all their might! They receive a nasty volley, of course! 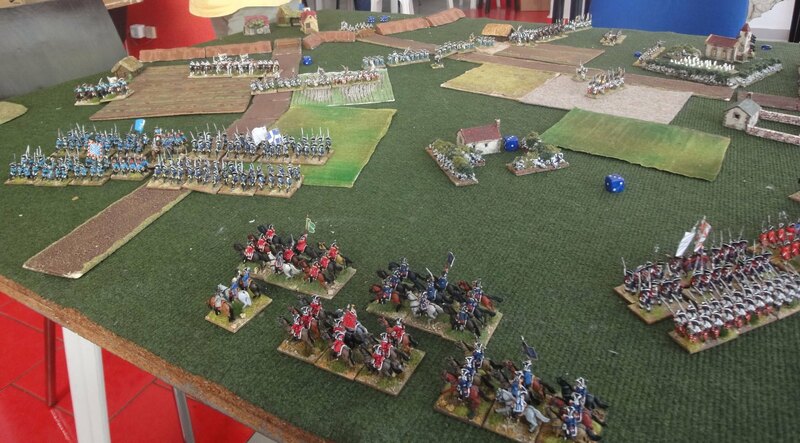 But they had to pin their opponents in place, until the infantry arrives! They unlimber their guns and the first gunshots are released, at last! 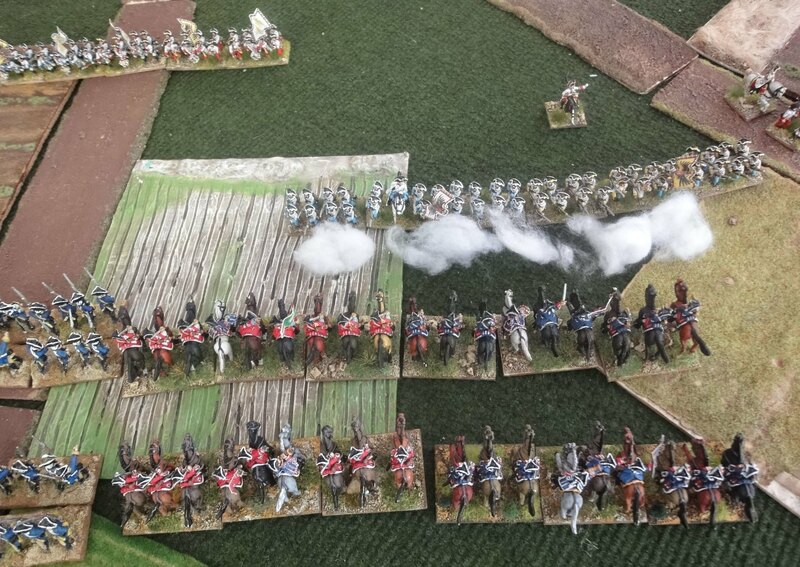 The Walloon Guards in musket close range with the Austrian right! Unbelievable! 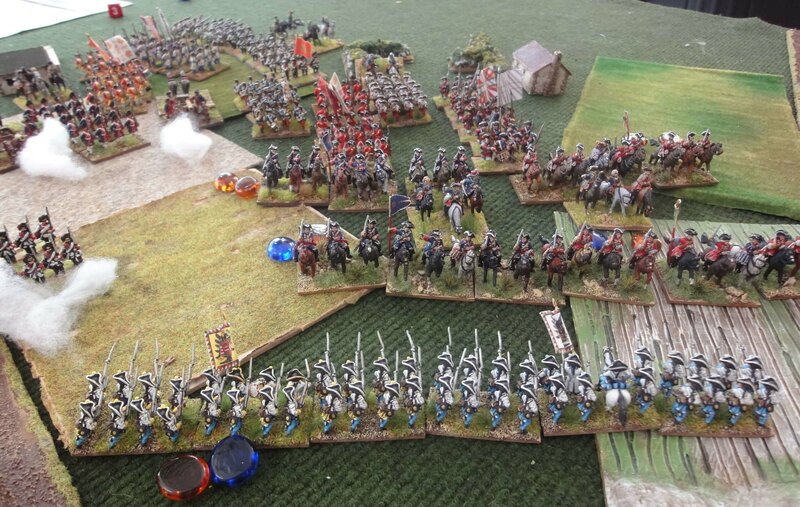 The Spanish cavalry so close and dither again! 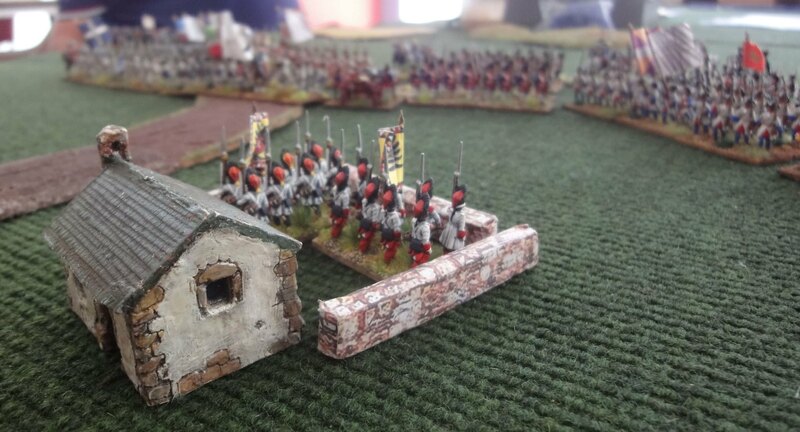 The static Spanish cavalry, having received withering volleys, is now in shambles! 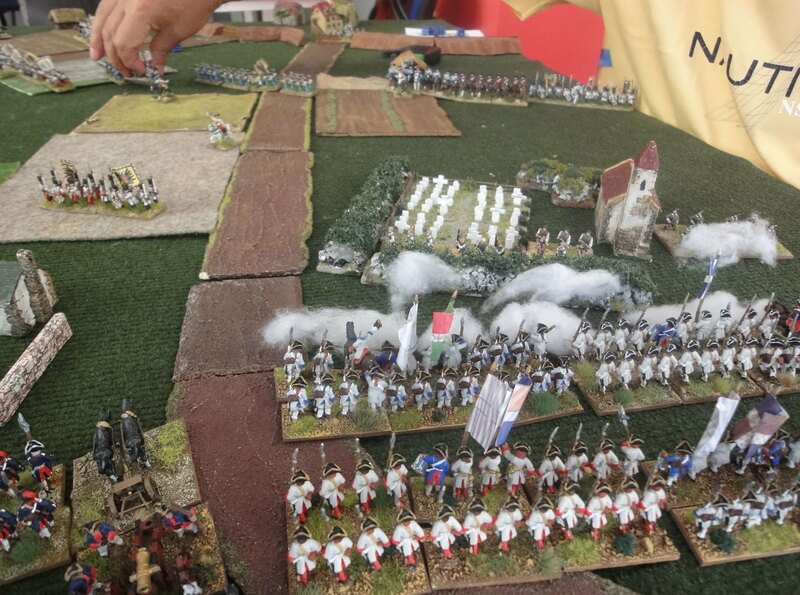 Montemar runs to bolster them! Bitonto impossible to be taken in six rounds! End of Seventh Round, game over! 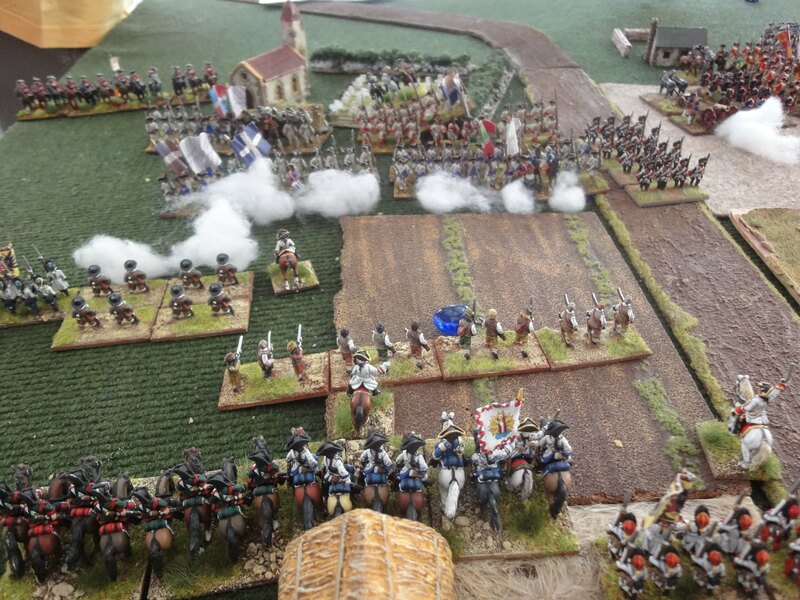 The Austrians were nominally the winners, as seven rounds were not sufficient for the Spanish to destroy them. -Eugene would be enraged with Belmonte, he disobeyed his orders to stand and fight, so he would release him from the Austrian army command. He now enjoys his pension munching strudel and sipping coffee in a small Vienna café. -Montemar would have fallen in disgrace and now he is grooming horses and shoveling manure in a dirty stable in Galicia. He plans to join the Foreign Legion, but it has not been invented yet. -Damnitz will be unhappy to see his scenario take this turn. 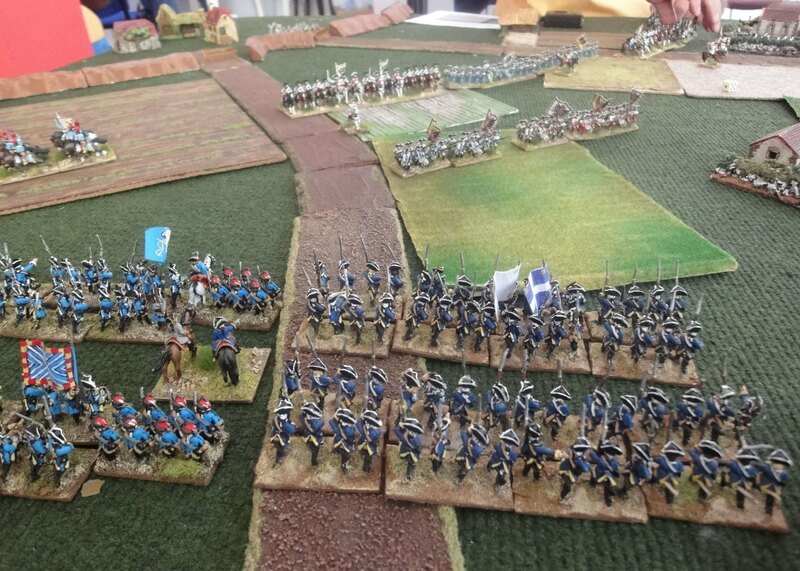 -I may say I was happy to see so many miniatures on table, I took some decent pictures and had fun moving so many soldier bases from the one side of the table to the other Ok, somehow it was a pity that they did not fight. All in all, I had a story to tell you! Hope you enjoyed! Next time, Greg promised we give a big battle in the open. I trust him, but he ain't going to take much artillery! Thank you very much for trying this Scenario. I think maybe it is difficult to reach the walls of Bitonto in 6 or 7 turns. 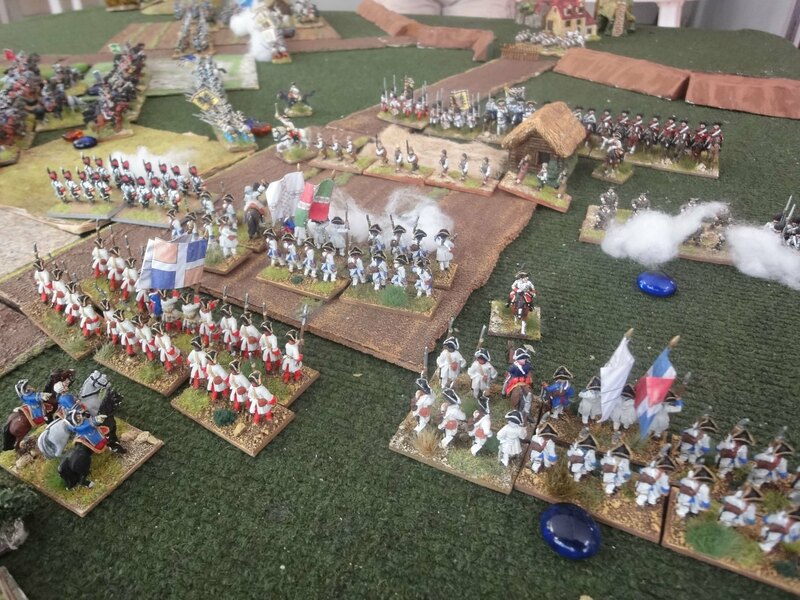 On the other hand the Austrians did a good retreat and the Spanish had some bad luck (although to reroll successfull movement is something very special). Maybe Parma will fit you better. 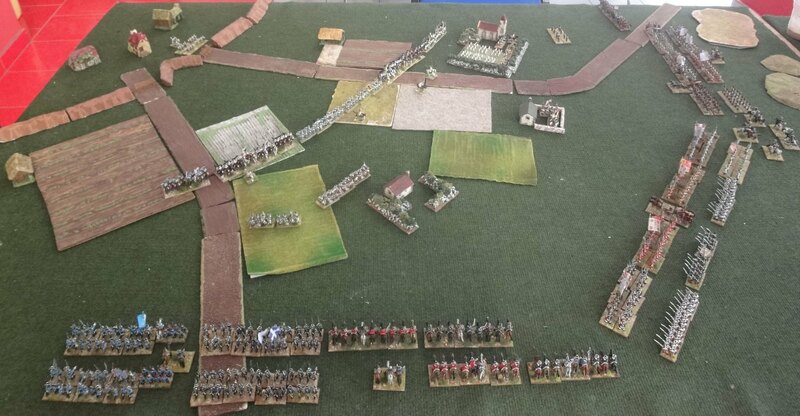 Mostly open ground and with plenty of fighting. I thought much about the scenario. Perhaps the player would just Need a bigger table. 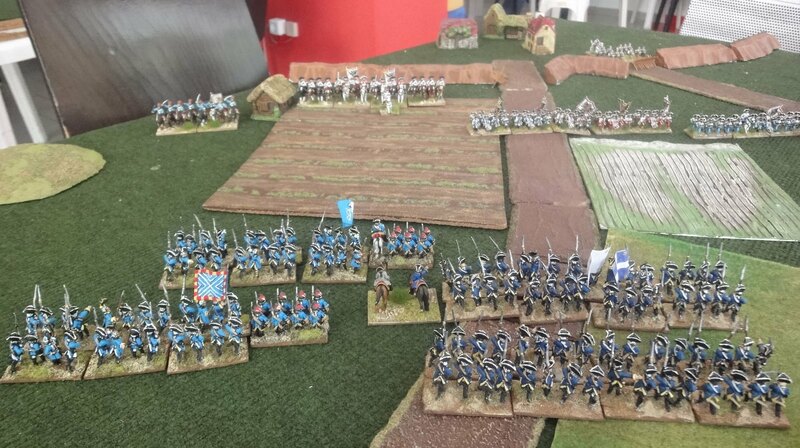 The source mentioned that the Spanish overlapped the Austrians with their 8sqn.s of elite cavalry on their right wing.